Even in Washington's time, there were many who speculated about George Washington's religious views and practices. 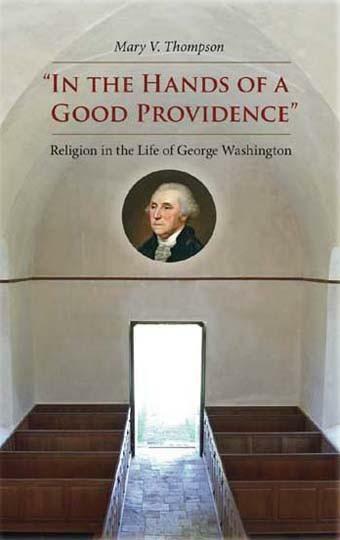 Mount Vernon had the chance to speak with Mary V. Thompson, author of "In the Hands of a Good Providence: Religion in the Life of George Washington" about her book and this interesting subject. Did George Washington grow up in a religious household? There was a long tradition of service to the church in the Washington family. George Washington’s great-great-grandfather, Lawrence Washington, was an Anglican minister in England, while his great-grandfather, John Washington, and his father, Augustine Washington, were vestrymen for their parishes in Virginia. Both John Washington and his son, Lawrence Washington (who was George Washington’s grandfather) left statements of their belief in the basic tenets of the Christian faith in their wills. In addition, within their home, George Washington’s parents had both a Bible and several theological books, which are believed to have been used in educating their children. His mother, Mary Ball Washington, was remembered by her grandchildren as a devout woman, who liked to visit a quiet spot outside, where she instructed the young people about “the Great Creator of all things, his goodness, his mercy to all who love and obey him.” Another grandchild recalled sitting with her on Sunday evenings as she read to him from the family Bible and he looked through the illustrations. There is no reason to think that she raised her children any differently. Did a young Washington show interest in religion? Where did Washington go to church? Was he an active church-goer? When they were at Mount Vernon, the Washingtons had pews in and attended services at two nearby churches (the Mount Vernon estate was so large that it was located in two Anglican parishes): Pohick Church in Truro Parish in Fairfax County, which was about 7 miles from Mount Vernon and Christ Church in Fairfax Parish in the city of Alexandria, which was about 10 miles from home. During the Revolution, when Washington was away from home for eight years, he regularly attended services held by military chaplains, and also with local civilian congregations. As president, between 1789 and late 1790, he worshipped at St. Paul’s Chapel and at Trinity Church both in Manhattan. From the time the government moved to Philadelphia in late 1790, until his retirement in March of 1797, the Washingtons went to services at both St. Peter’s Church and Christ Church, both in Philadelphia. Often when he was traveling, Washington would stop for services at whatever church was nearby, regardless of its denomination. Over the course of his life, he is known to have attended services at churches associated with the following Christian groups: Presbyterians, Quakers, Roman Catholics, Congregationalists, Baptists, and Dutch Reformed. At Mount Vernon, the Washingtons rarely attended church every Sunday, averaging about once a month. 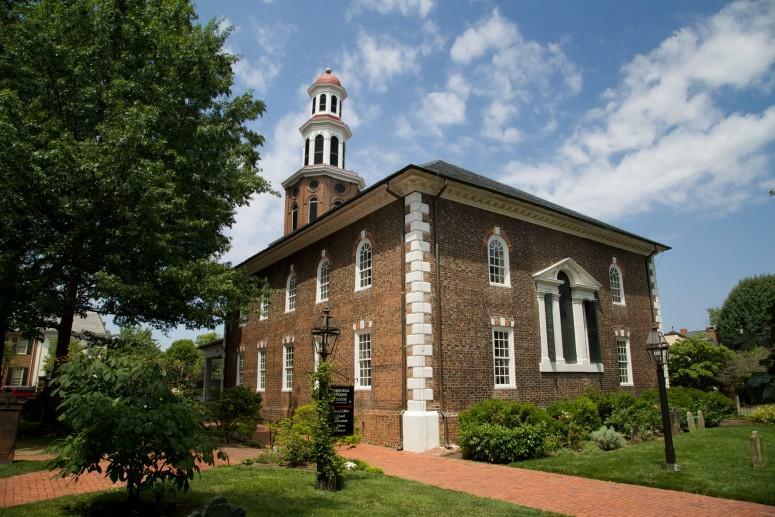 There was a shortage of ministers in Virginia prior to the war, so the Anglican congregations in the area were served by one minister, who rotated between three congregations (Pohick, Christ Church, and Falls Church), spending one Sunday at each. George Washington’s church attendance was much more regular during both the war and his presidency, when the presence in camp of military chaplains and the presence of churches within walking distance in New York and Philadelphia, made it much easier to get to services. In addition to attending church services, Washington was elected to serve as a vestryman at both Fairfax Parish and Truro Parish. Although that first position lasted only a brief time, Washington was an active vestryman at Truro Parish from 1762 until the beginning of his role in the American Revolution in 1775, and was kept on the books as a vestryman until 1784, several months after his return from the war, when he resigned from that post. At Truro, he was also elected by the other vestrymen to three terms as a church warden, the men who carried out the day-to-day, hands-on work of the parish. Washington took his duties on the vestry very seriously: of 35 vestry meetings held for Truro Parish between 1762 and 1775, he only missed 12 and is known to have had good reasons for missing at least 9 of them (generally because he was out of the area on business). After the war—and for the rest of his life—Washington provided financial support to his local churches. The war brought tremendous changes to both the Anglican Church in Virginia and to George Washington’s personal life. As I mentioned earlier, the Anglican Church was the state church of Virginia, which meant that other Christian denominations were considered “less than”: the buildings where they worshipped were called “meeting houses” and they had to pay taxes to support the state church. They also might have been subject to some degree of persecution. For example, in the decade or so prior to the Revolution, many Baptists came to Virginia. Their ministers were often highly critical of the Anglican Church, which, in turn, led some Virginians to disrupt Baptist services and to beat and jail their ministers. The persecution experienced by the Baptists and others also led other Virginians to feel that such treatment was wrong and that no one should be persecuted because of their religious beliefs. By the time George Washington came home from the war, Virginia’s religious landscape had changed dramatically. Within a year of the start of the conflict, Virginia adopted a new Declaration of Rights, which called for the “free exercise of religion, according to the dictates of conscience.” Non-Anglicans were soon allowed to stop paying taxes for the support of Anglican churches and ministers. 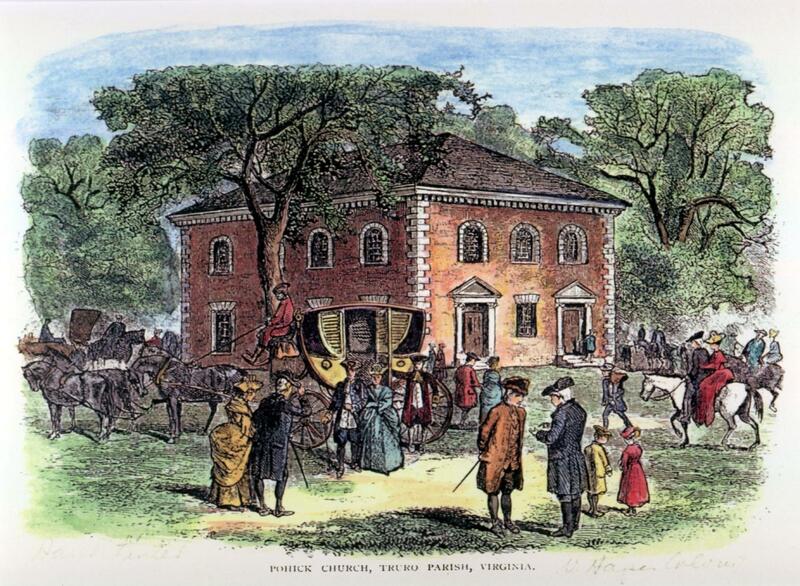 By 1784, there was no longer a state church in Virginia. Care of the poor was transferred to the counties. This led to a situation in which many Anglican churches basically went out of business. In the last decade of the 18th century, for example, Pohick Church was staffed by itinerant ministers, when it was staffed at all. Following the war, the Anglican Church in Virginia—and the other American colonies—could no longer swear allegiance to the British king, George III, as head of the church, because they had just fought a war against him, in order to win their independence. They formed, instead, the Protestant Episcopal Church of America. It was during this period that George Washington resigned from office as a vestryman. There are many Washington references in his letters to “Providence” and the like, but few specific references to Jesus Christ. Is that unusual or telling? There are many historians who feel that the dearth of references to Jesus is a sign that George Washington was not a Christian (a follower of Jesus)—or at least not an orthodox Christian. I’ve spent most of my adult life working on George Washington, but not so much on Washington’s contemporaries. Ideally, to come to a meaningful answer, I think we’d have to look at all the statements by both Washington and his contemporaries and see how his uses of the name Jesus compare with those of others of his class in 18th century America. Having pulled together both George and Martha Washington’s writings relating to religion, I can say that Martha Washington, who is generally considered a very devout, orthodox Christian, refers most often to “God,” occasionally to “Providence,” and never to Jesus. On this question, as well as on so many others, the critics seem to expect Washington to sound like a modern, evangelical Christian, when he was an 18th century Virginia Anglican. Why did Washington stop taking communion? Did his views on Christian sacraments change? According to Martha Washington’s youngest granddaughter, Nelly Custis Lewis, George Washington regularly took communion prior to the Revolution, but did not after the war. There is evidence from his financial papers that Washington supplied wine for the communion service at Pohick Church before he left for the war. During the presidency, when he was chastised from the pulpit for regularly leaving prior to the communion service in Philadelphia (something Nelly said was true of most of the congregation), Washington informed the minister that he was sorry for setting such a bad example and would not do it again. From that day on, he would simply not attend services on Sundays when communion was offered (at this time, the Anglican/Episcopal Church only observed communion 3-4 times per year, not every Sunday). It should be noted that Martha Washington continued to take communion. Some historians surmise that George Washington’s ideas about Christianity either changed during the war or that his association with more out-spoken Deists led him to give up a practice he never believed in. My own thought is that there were changes to both the church and himself during those years that may have led him to abstain from communion. Washington never reflected on this change in his writings, but here are some ideas given by other biographers and myself. a) One reason might have to do with “scrupulousness,” the idea that it was sinful to partake of communion, when one was not in the right frame of mind, as propounded by the Apostle Paul in the biblical book, 2 Corinthians 11:27-29. 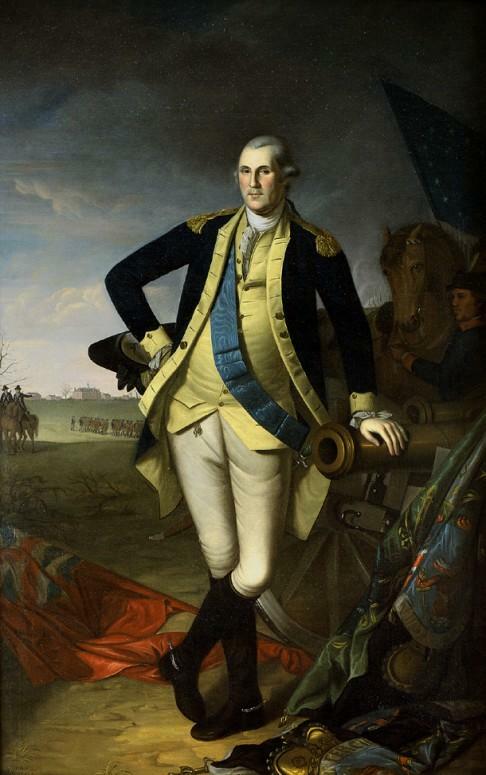 From the time he took command of the army in 1775 until his death, Washington was taken up with military and political matters that preoccupied his mind and may well have weighed on him so much that he was rarely in what he considered a right state to take communion. b) Sometimes there are decisions military leaders have to make in wartime that can cause them to question whether they are worthy of God’s continued love. Knowing that your orders sent others to their deaths or caused them to be maimed for the rest of their lives is the kind of thing that could well have led to a decision to forego church attendance and/or communion. c) There is evidence that Washington had real doubts about the new Episcopal Church and whether it was going to support the new American government. Prior to the war, many Anglican ministers in this country had written about the need for citizens to stay loyal to the crown. Only 10% of the ministers serving as chaplains in the American army were Anglican. The first person chosen as a bishop in the new Episcopal Church was a man who is alleged to have guided British troops against Washington’s on Long Island. We know from his diary that Washington had a real problem with that man, Samuel Seabury. d) The war also led to a change in Washington’s beliefs about slavery—he went from a man who does not seem to have questioned slavery as an institution, to someone who believed it was wrong. Just because a person knows something is wrong, doesn’t mean that they necessarily know what to do to extricate themselves from the situation. Washington came up with several plans that did not work out, leaving him ultimately to arrange to free those slaves who belonged to him in his will. Feeling that one is involved in a continuing sin (holding slaves), that one is either not willing or not able to stop, could well lead to feelings of guilt that precluded taking communion. How did President Washington view the subject of religious freedom in the United States? There are some people who believe that Washington and the other Founding Fathers were only speaking of religious freedom in regard to Christian denominations, but did not intend it to apply to other religions, which were not even in America at the time. 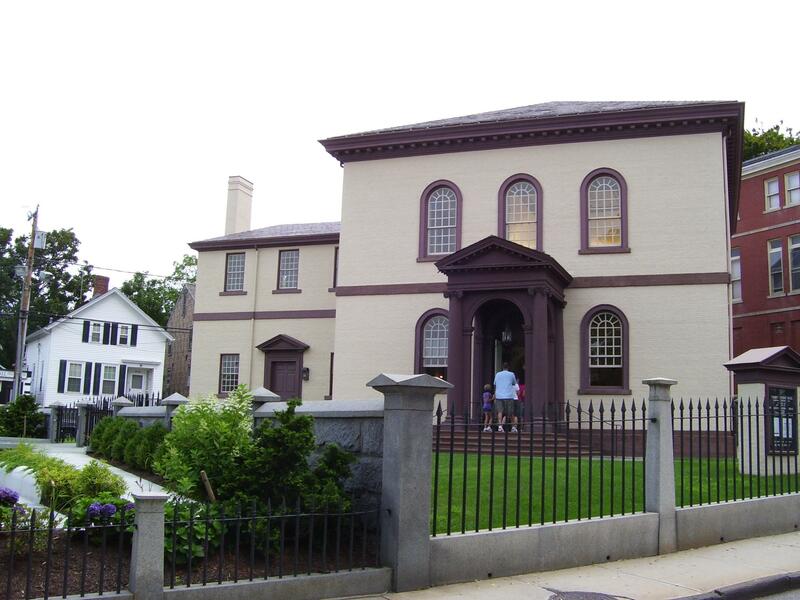 As we saw immediately above, Washington clearly believed that Jews had religious freedom. Whether he knows it or not, about 10-20% of the enslaved people in the country were Muslim. Washington clearly expected people from other parts of the world—with other religions—to come to America. In a letter to his agent in Baltimore in 1784, asking him to acquire some indentured tradesmen with specific skills to work at Mount Vernon, Washington wrote that, “If they are good workmen, they may be of Assia [sic], Africa, or Europe. They may be Mahometans [Muslims], Jews, Christian of any Sect—or they may be Atheists.” All he asked was that they do good work. Did Washington see a role for religion in the new United States? Throughout his time as a leader, in the army in both the French & Indian and Revolutionary Wars, and in civilian government in colonial Virginia and the new United States, Washington encouraged the declaration of days of prayer and fasting as a means of seeking divine assistance in perilous situations and also supported the proclamation of days of Thanksgiving to praise God for his help. He and his other officers led church services during the French and Indian War, because they lacked chaplains, and during the Revolution, he ensured that there were chaplains of various denominations to meet the spiritual needs of his soldiers. He also encouraged them to stop swearing and gambling, because he told them it was unseemly to ask God’s favor on their efforts, if they were constantly insulting him by their behavior. There are some scholars who believe that Washington was not a true Christian. Where do you come out in this debate? I find it a bit off-putting—and wrong—for anyone to be passing judgment on whether or not another person is a “true Christian,” because I think it is not our place to do that. I do believe that the evidence suggests that George Washington was a true Christian, but would remind everyone that he was a rather typical 18th century Anglican. The Anglican/Episcopal Church in Virginia did not come under the influence of evangelicalism until about the last decade of George Washington’s life. When you read the letters of the members of the extended Washington/Custis families in the 19th century, they sound very different from George and Martha Washington, when discussing topics related to religion. That difference relates directly to evangelical influence. Having said that, I would also say that there were changes in Washington’s life and in the Anglican Church in his lifetime, that led him to change his religious practice, but there is no evidence that he changed his core beliefs. 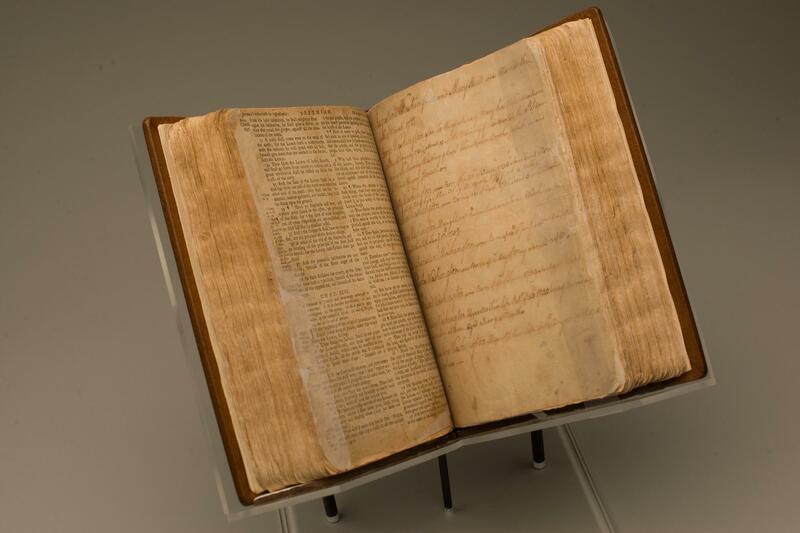 The Washington family bible recorded the birth date of George Washington. Since coming to Mount Vernon in 1980, Mary has filled a number of roles: Historic Interpreter (1980); Curatorial Assistant (1980-1986); Curatorial Registrar (1986-1998); Research Specialist (1998-2008); and Research Historian (2008-present). Mary has also authored chapters in a number of books, as well as entries in encyclopedias, and a variety of articles. She curated the travelling exhibition, Treasures from Mount Vernon: George Washington Revealed, which opened in 1998 and travelled to five cities over the next 18 months. More recently, she authored the book In the Hands of a Good Providence: Religion in the Life of George Washington (Charlottesville: University of Virginia Press, 2008), for which she received the 2009 Alexandria History Award from the Alexandria [Virginia] Historical Society and the 2013 George Washington Memorial Award from the George Washington Masonic National Memorial. She was a major contributor to both The Mount Vernon Ladies’ Association: 150 Years of Restoring George Washington’s Home and Dining with the Washingtons: Historic Recipes, Entertaining, and Hospitality from Mount Vernon, published by Mount Vernon in 2010 and 2011, respectively. She is currently putting the finishing touches on a book focused on slave life at Mount Vernon. Browse our collection of books on religion in early America. How did the Washington family or the enslaved community at Mount Vernon practice?